High power graphite electrode is a graphite electrode with allowable current density between 18-25A/cm2. 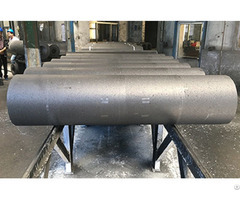 HP graphite electrode mainly used in high power steelmaking electric arc furnace. Business Description: Shandong Rongfu new material technology Co,Ltd., which is located in Shandong province, China, have been specialized in the graphite electrode field for more than 10 years since the year 2007. Our graphite electrode has been exported to more than 20 countries and areas, including Iran, India, Russia, Germany, Italy, USA, South America, Japan, Korea, Taiwan, Hongkong and so on in the past years. Our company always serves each customer at credible quality and quality service, and try our best to be most professional graphite electrode supplier in the world. 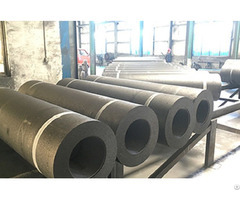 Graphite electrode is made from top quality low sulphur petroleum coke and high quality needle coke imported from Japan, using high grade coal pitch and other low ash material as adhesion agent. 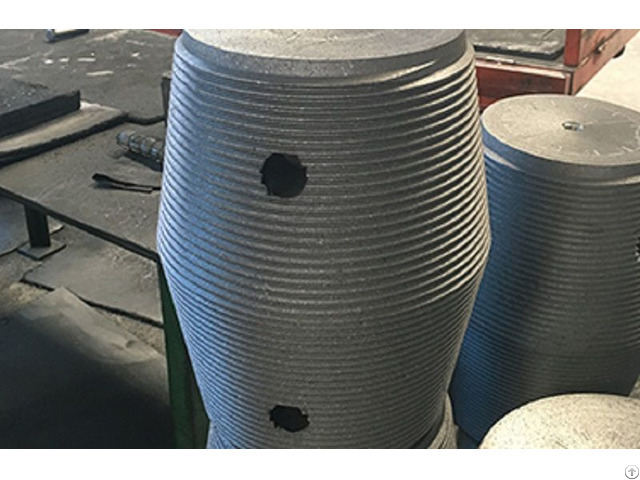 These raw materials go through the procedure of crushing, calcining, dosing, kneading, forming, multiple roasting, impregnating, graphitizing, mechanical treating, and finally come into graphite electrode. Graphite electrode is one kind of high temperature and oxidation resistant conductive material. Graphite electrode has many advantages such as structure uniformity, low ash material,low electric resistivity, low impurity content, low coefficient of thermal expansion, good electrical and thermal conductivity, good oxidation resistance, strong ability of thermal and mechanical vibration resistance, high mechanical strength, high machining accuracy, matching precision of electrode and joint fit. Graphite electrode is a good conductor of heat and electricity and is widely used in the steelmaking electric arc furnace, refinery furnace, submerged arc furnace and other smelting furnace with high temperature produced by electric arc. Graphite electrode is excellent material for the production of alloy steel and other metallic non-metallic materials by electric arc furnace. 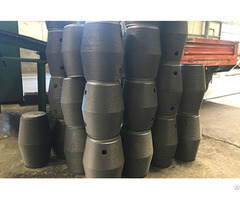 Graphite electrode is also excellent material for the smelting production of iron alloy, industrial silicon, yellow phosphorus, corindon by submerged arc furnace. Our graphite electrode contains more than 30 kinds of diameter specifications covering from 200mm to 800mm. It divide into regular power graphite electrodes , high power graphite electrodes, ultra high power graphite electrode depending on raw material and production process, and different power and current carrying capacity in use. Special specifications of graphite electrodes and special-shaped graphite products can be produced according to the special requirements of users.